Are you looking for a quick pick me up after a workout? Try these lemon coconut energy bites. 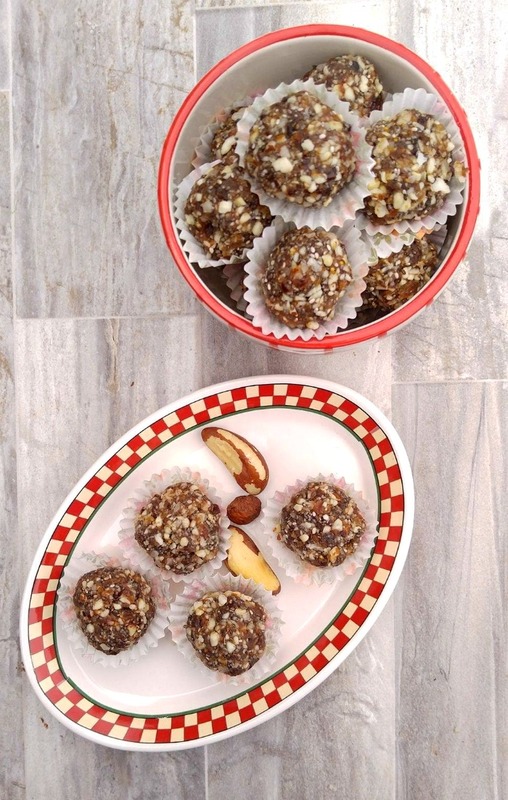 These little balls of goodness are Paleo, Whole30 and gluten free and taste really great. 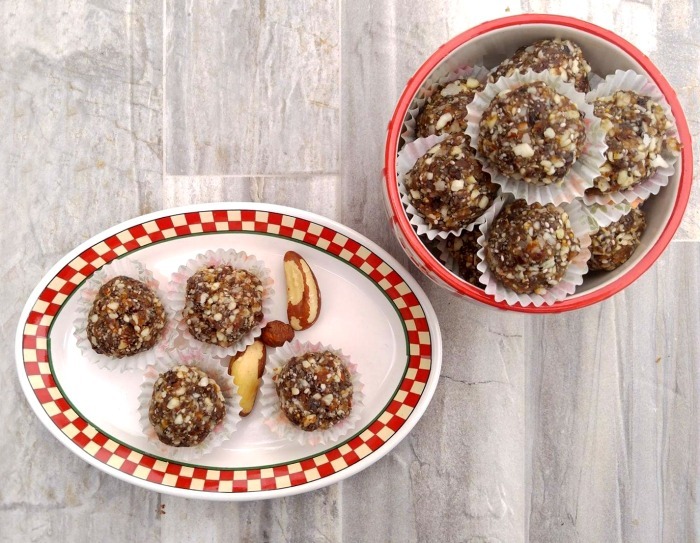 Most energy bites and granola bar style recipes are loaded with some form of sugar. 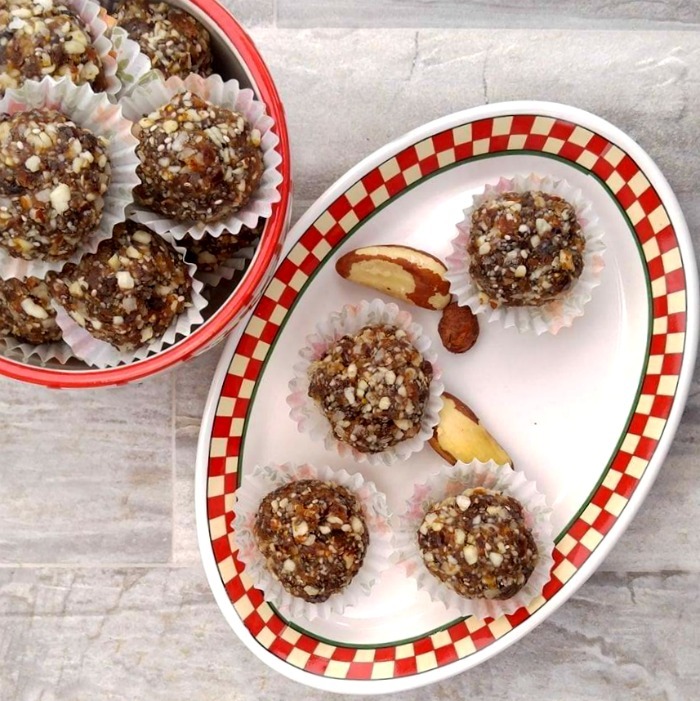 These little balls are lightly sweetened with dried fruit and have a tang from the fresh lemon juice and have no added sugar of any kind. They taste just amazing are are perfect for anyone who is trying to cut sugar out of their diet. Also be sure to check out my 88 calorie chocolate peanut butter energy bites. They taste amazing too. .
Let’s make some lemon coconut energy bites! These little balls could not be easier to make. 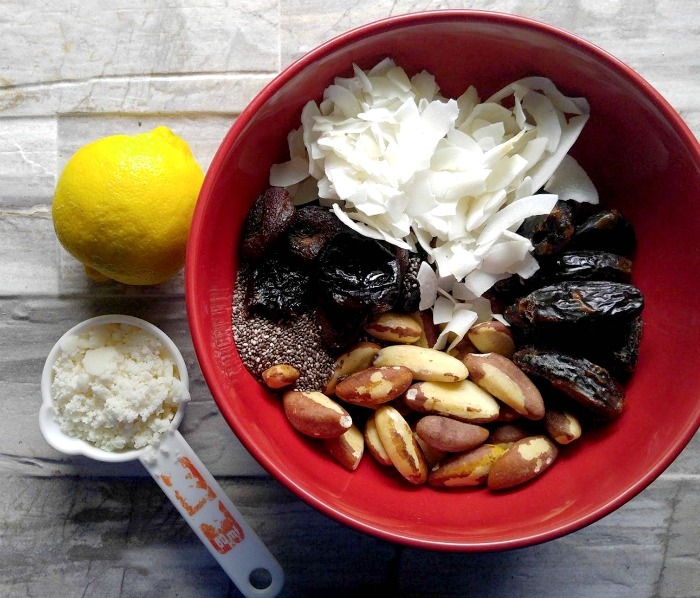 I used Brazil nuts for crunch, dried medjool dates, figs and plums to give them the hint of sweetness, lemon juice and zest for a tang, and coconut butter for creaminess and as a binder. 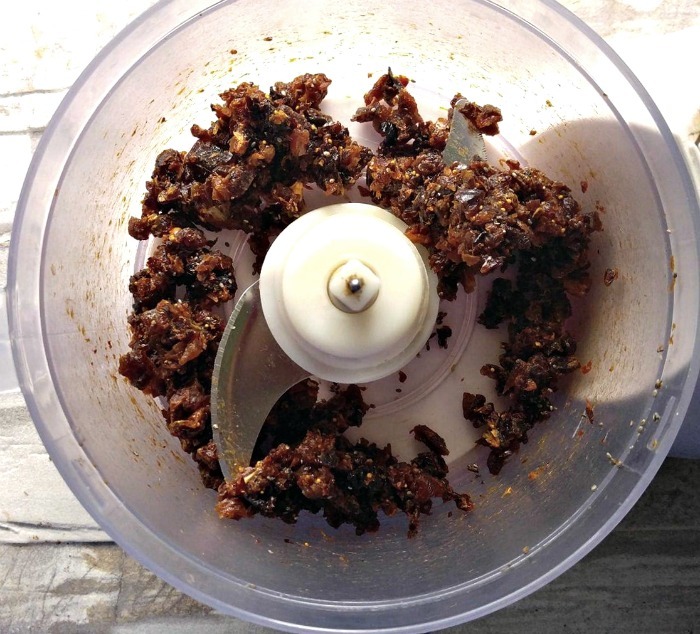 Start by pulsing your dried fruit in a food processor until the mixture is crumbly. Add in the nuts, lemon juice and lemon zest to make a nice mixture and then pulse in the coconut butter. The batter will be sticky and perfect to form into bite sized balls. I made mine about an inch in size and got 20 out of the recipe. Each energy bite has about 120 calories. 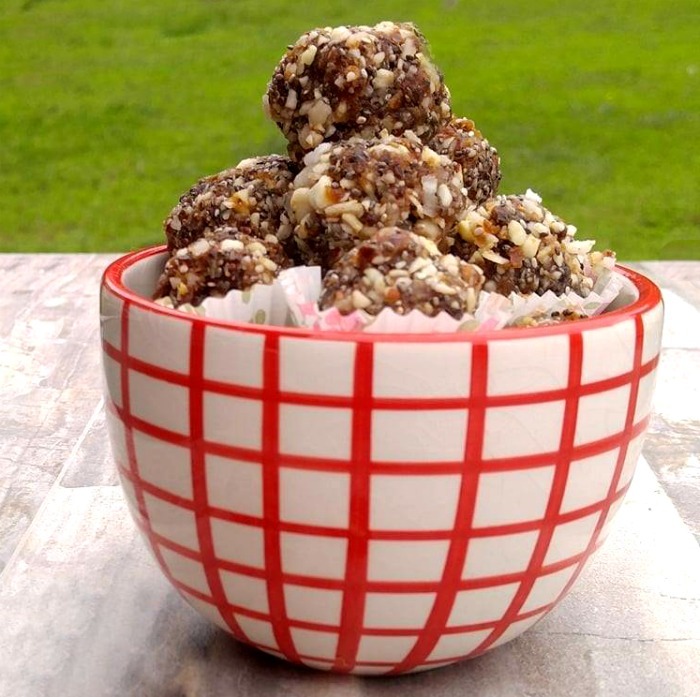 These delicious energy bites are perfect for a snack, as part of a quick breakfast, or great for a low calorie dessert. They are crunchy with just the right amount of sweetness and have a delicious hint of coconut. Put the dried fruit into a food processor and pulse until the mixture is crumbly. 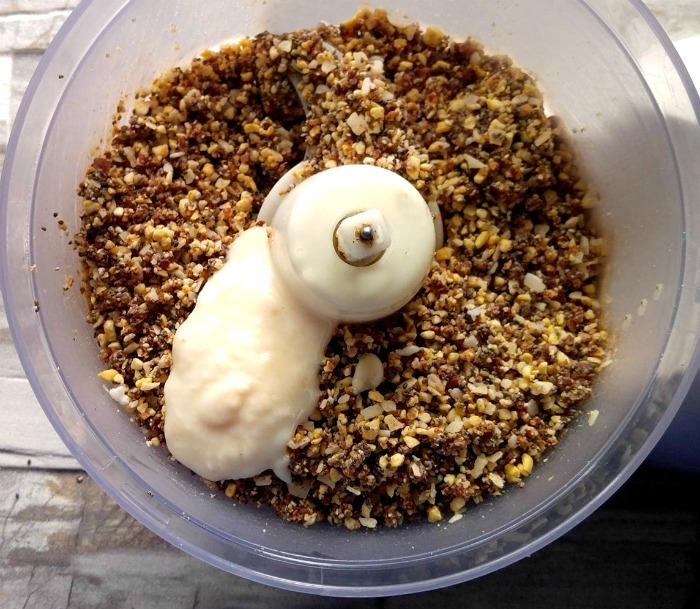 Add the nuts, coconut chia seeds, lemon zest and lemon juice and pulse well. Add in the coconut butter, and mix until everything is well combined and the mixture is sticky. 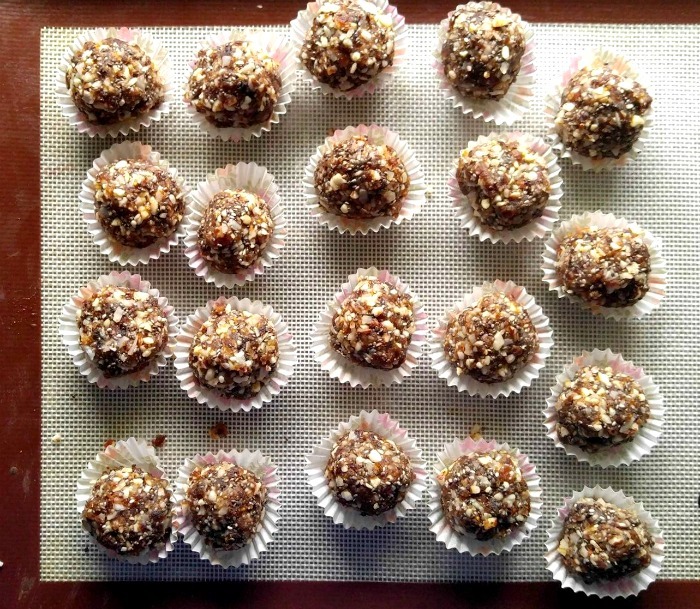 Form into one inch sized balls and place on a baking sheet lined with a silicone baking mat or parchment paper. Place in the fridge to set for about 30 minutes. These keep well stored in an air tight container in the fridge. ← Clarified Butter Recipe – Separate Those Milk Solids From Butter Fat!